Just over 200 years ago Seaton Sluice became the centre of a flourishing coal and glass trade, exporting to western Europe, with ships of up to 300 tons burden visiting the tiny harbour. It was from the 30-odd pits in the district near Hartley township that the coal was mined. In 1660, the year he was knighted by Charles II. Sir Ralph Delaval commenced the building of a stone pier to create a man-made harbour, Hartley Haven; ten years later he received a royal grant to carry out further improvements. Then in 1690 Sir Ralph had sluice gates built which closed with the incoming tide. At low water the gates were re-opened and the surge of water flushed the harbour clean. Thanks to this ingenious engineering solution, the little port became known as Seaton Sluice. Following in Sir Ralph's footsteps, John Delaval continued to build up trade but in 1718, saddled with debts incurred by other members of the family, he was forced to sell the 6,500-acre Delaval estate to his kinsman, Admiral George Delaval. With the increase in trade over the years a new harbour was opened on March 20 1764, at a cost of £10,000. A cut was made eastward through the solid rock of the old harbour, with sluice gates at both ends, thus providing the harbour with an additional entrance, and at the same time forming a deep water dock, where vessels could be loaded by spouts or cranes at any state of the tide. The original entrance to the harbour was used in stormy weather, and the new cut or south entrance was used when the weather was moderate. Both entrances had piers which extended some distance into the sea, and on the approach of any ship a flag was hoisted by the pilots directing the vessel to the proper entrance, according to the state of the weather, and at night-time a lamp of burning coal was hung out as a signal. Because there were then no steam tugs to assist in towing and mooring, a line would be thrown on board a ship, and a number of willing men would haul the vessel to its moorings in the harbour, for which duty they would be given a ticket entitling them to a quart of beer each at one of the many local ale houses. The harbour mouth was protected by booms, and every ship which entered had to pay five shillings for the lifting of these booms. A drawbridge was built across the cutting, which was later replaced with a bridge, which still stands to this day. Forty ships, of two and three hundred tons burden, were regularly engaged in the carriage of passengers and merchandise to London and many other foreign ports, and in 1785, the taxes paid to the Government on salt, glass, and coal by this little seaport alone amounted to a staggering £24,000. There was a downside to the increase in shipping however. A glance at any shipwreck map of England will highlight the predominance of wrecks along the Northumbrian coast. It was not uncommon at this time for crews and passengers to be drowned only a stone's throw from the shore whilst crowds watched on helplessly. This led to Seaton Sluice Volunteer Life Saving Company being formed. 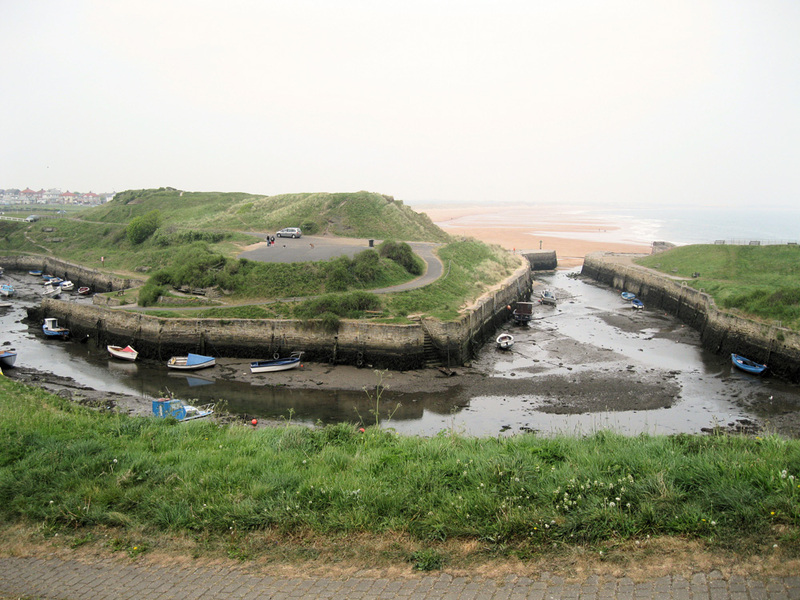 Seaton Sluice is no longer a working port in commercial terms, but is used by a number of local fishermen and leisure users. With thanks to the Seaton Sluice and Old Hartley Local History Society website for much of the above content.